← What’s it sound like in your office? I’m a pretty passionate person about everything in my life. Family, faith, friends, work, trust…. Passion. If you have ever talked with me, I can get you going and wrapped up in excitement with me. My kids are very familiar with my term WOOT! and know I am even passionate about singing in the car at the top of my lungs, gulp, sometimes to Justin Beiber. If I trust you, I trust you wholeheartedly and passionately. Unfortunately I can also distrust passionately. That is just me. A bundle of energy and passion. I’ve had a passion for any J.O.B. I have ever had. From making donuts, selling shoes, doing hair, a thumb in greenhouse/flower sales, retail and banking management – I had a passion for every single job. If I was hired in at a lower level, it was always my thought process to learn everything and get to the top. Just how I am wired – I have always been excited to start a new day and see what I can make of it. Back in my banking days, one of my favorite clients was an extremely wealthy business man. He owned multiple businesses, dressed to the T, smelled great, and always had a smile. Every day when he made his (rather large) deposits he would stop in my office to chat for a while – let me know what new items his gift shop had – bring me the newest beanie baby, check on his accounts and offer me almost fatherly advice. I really liked this guy, not for his money, for his wonderful attitude about life. One of the best pieces of advice he ever gave me was “Mary Beth, let me tell you this. To be successful in this life, you must love what you do. And I love what I do”. Thank you Mr. S!! I created my niche based on my passion for dentistry. My passion for the daily administrative challenges in being the scheduling orchestrator – the patient liaison – the money catcher and the confidant. The passion the shows in our exuberant celebrations of scheduling appointments, making connections with patients, admin teams, dentists and the continual creation and enhancement of growing/moving forward. This passion was (and is) the driving force behind Dental Support Specialties success. I quit my full-time job as business manager for a fantastic dental practice to stay home and care for my daughter who was born 3 1/2 months early and needed her mama more than any dental practice did. Yes, it was quite the shock to our financial system, but we could not put a price on the care and development of our little jujubee. Her therapies became our full-time focus and God love her little heart she blossomed into the wonderful little being that she is. It was a difficult time financially and emotionally as well – our blessings never cease to amaze me and our hard work has more than paid off. It was within this time that I started thinking “What can I do?” not only to contribute to the family financially, but to DO. I have always been a doer. Gotta have a plan. I enjoy coming up with ideas, plans, strategies and seeing what I can do with them. I do not have the type of personality that allows me to settle for anything. Once I master something, I want more, I want new, I want different – Bring on the challenges! With the support and encouragement of my my husband, my friends, and mentors I began my virtual assisting company designed to support dental practices. My passion for my business and new ideas grew (and still grows! ) every day. I slowly built up a client base, which increased my passion and excitement for more possibilities! My passion and dedication are reflected in all that I do. I put my stamp of PASSION on every thing I touch – whether it’s a blog, patient phone calls, calling insurance companies, doing a cartwheel in the office because I bet someone I could, overcoming challenges to be the best I can be – I love it all because it makes a difference and positive impact on the lives of those I care about! 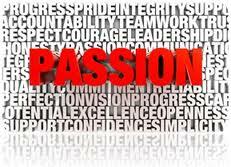 The purpose of this musing today is to ask you where your passion lies? What are you passionate about? Do you wake up in the morning excited to get to the practice to see what you can accomplish and create today? Or wake up with dread? Can’t wait to engage with your team – enjoy your time together creating the most successful day ever? If it’s dread, is it because you don’t enjoy what you do? Or because of all the BS that comes with it? You have every opportunity to make your life what you want of it. You have a choice to make today a great day or not so much. Circumstances don’t force you into a corner or a life of despair, YOU DO. 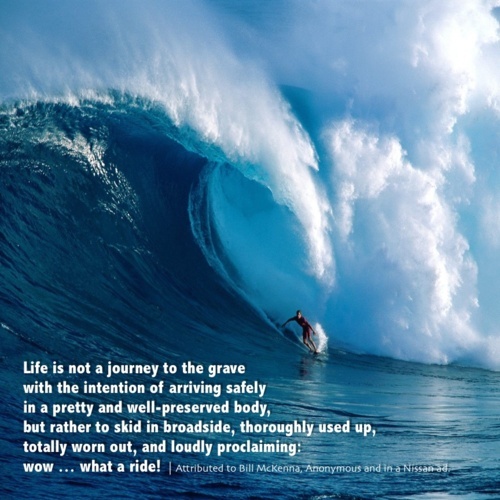 That’s what is so great about this life. You can get yourself to a place of YES right now, today! Me? I am choosing the WOW! What a ride path! How about you? Find your passion. Live your passion. Have fun and share your soul. MB~ I love your story and I am so happy that your little jujubee is doing great! The service that you offer is awesome. It is so important for dental offices to have someone answering their phone after hours and you go the extra mile and actually help the patients. Your knowledge and experience are second to none. You Rock MB! I am honored to call you friend. Nomi, THANK YOU! I am blessed beyond belief! Thank you for being my friend. You ROCK girl! Thanks Dr. Amison! You never work a day do you? 😉 Your passion is evident in your life for your faith, family and friends! WOOT! You were right MB, I absolutely love your blog today! You truly never cease to amaze me with your passion for life and for taking care of your clients! Love you Friend! Thank you Lisa! You’re passion for your clients, and your faith are an inspiration to me! Love you too friend!!! MB, I’m just reading this for this first time today! Don’t know how I missed it first time around. Guess I was out chasing my passion! Woot! I so enjoy you and all the energy that shows through in everything that you do! I feel so very Blessed to have met you through facebook and look forward to our chats….